Every year people travel from all over the world to visit a six-mile long and two-mile wide stretch of beach, that potentially defined the world we live in. The Normandy beaches are a necessity for all those looking to understand everything there is to know about the Second World War. Ruth Cuevas author and creator of My Motorcycle Diaries, explains what it's like to visit the modern day beaches of Normandy. No study of WW2 is truly complete until you visit Normandy. Beginning at the landing beaches and driving to the village of St. Mere Eglise, one can begin to comprehend the necessity behind the fighting. Dotting the landscape are museums, highlighting different perspectives of the war. Inside, carefully displayed artifacts (some found only recently) recreate life before, during and through the war. Short videos featuring surviving veterans help shape the story but most impactful were the representations of all sides. With the exception of Arromanches, the beaches have been largely cleared of any war debris. Respective countries honor their troops with monuments, statues and flags to remind visitors of what happened at that location on the morning of June 6, 1944. At Arromanches, the rusty and algae covered remains of the artificial Mulberry Harbor still float out in the water only a few hundred meters from the shore. At Pointe du Hoc, a single grappling hook sits on display at the visitor’s center. Barbed wire still lines the edge, bomb craters still exist and the German bunkers with their heavy fortification still stand. Upon entering the town of St. Mere Eglise, a torn parachute catches your eye. It was put there to remind us of John Steele, the US soldier who accidentally landed on the church steeple during the early hours of the invasion. St. Mere Eglise also marks the beginning of “Liberty Highway,” a highway that symbolically marks the route to liberation and ends in Bastogne, Belgium. 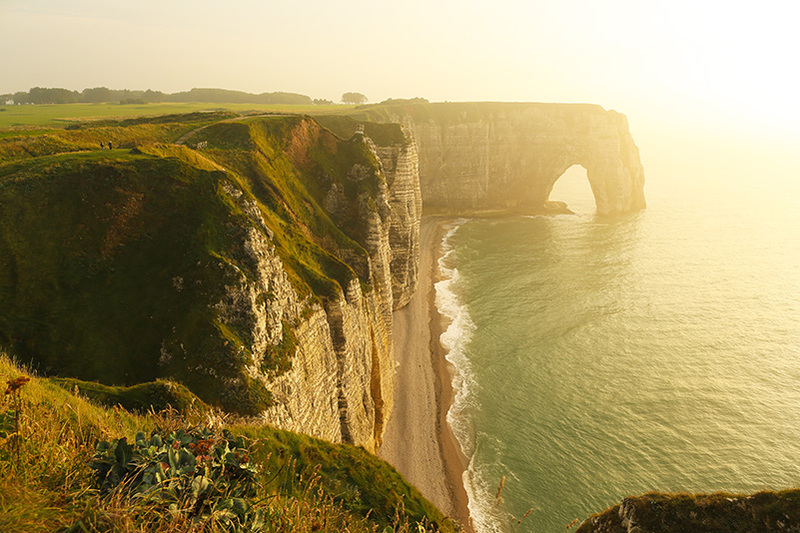 Planning a visit to Normandy? You can get a discount on a luxury property of your choice. Just download the PDF of 'A Stay Away' for more information.